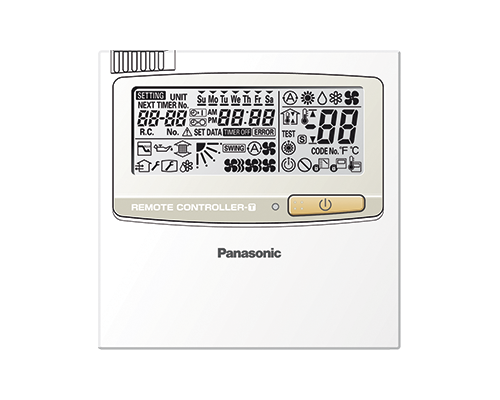 PACi Kassette A++ | KONDICIONIERI PANASONIC | KONDICIONIERIS PANASONIC | "SIA RIKON AC"
This proprietary design provides a wide and very comfortable airflow. 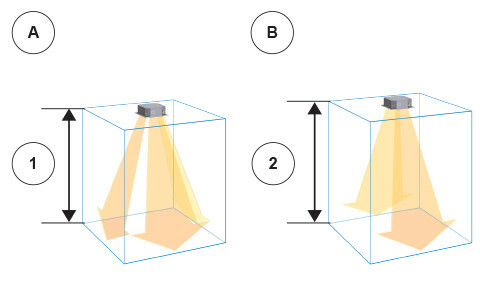 The cassette’s wide-angle discharge outlets and flaps are larger in the middle, featuring a shape that was selected based on geometrics and testing of actual prototype units. Air coming out of the center of the discharge outlets travels farther. From the sides of each outlet, where the openings are larger, airflow spreads out to reach the corners of the room. 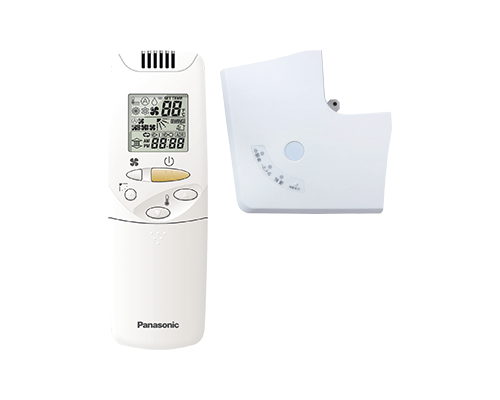 Air is discharged across a wide area from the four sides of the unit. 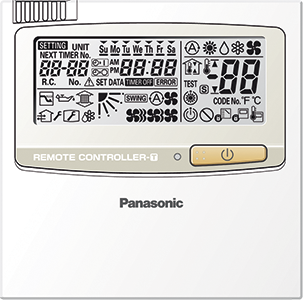 The curves on the room temperature distribution graph expand gently out through 360° in a circle centered on the indoor unit. A: Higher efficiency split fin. Improved heat-transfer coefficient due to adoption of high efficiently grooved heat exchanger tube. 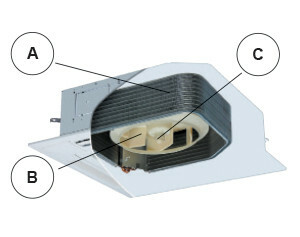 B: High-efficient & Silent turbo Fan. 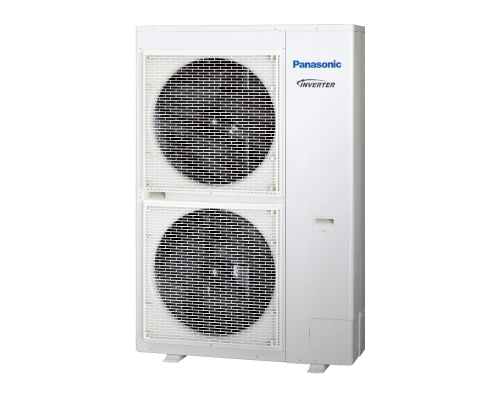 The newly developed larger fan chassis and optimised design of the airflow path has resulted in increased air volume and quieter performance. 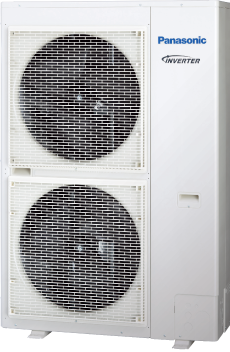 Optimum airflow is achieved by a new DC-fan motor with independent control. 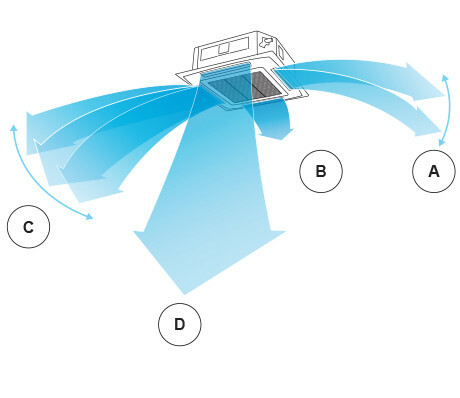 Flexible Air flow direction control by individual flap control is possible. 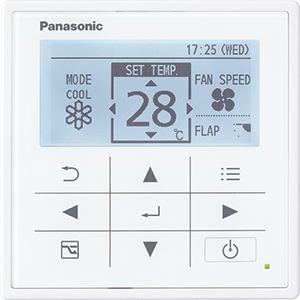 4 Flaps can be controlled individually by setting on wired timer remote controller. 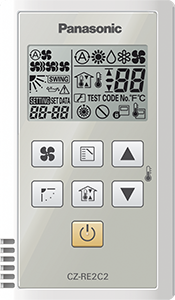 It can make more flexible Air-flow control to be matched to several demands in a room. 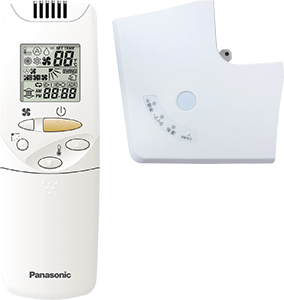 The new air-outlet and flaPdesign creates a soft and gentle air flow which circulates throughout the whole space and provides an even temperature distribution in the room. 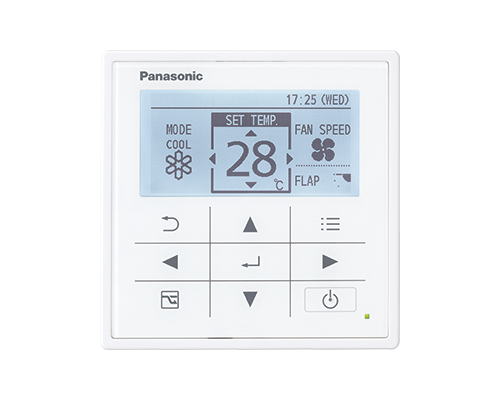 4 Flaps can be controlled individually (by standard wired remote controller*). 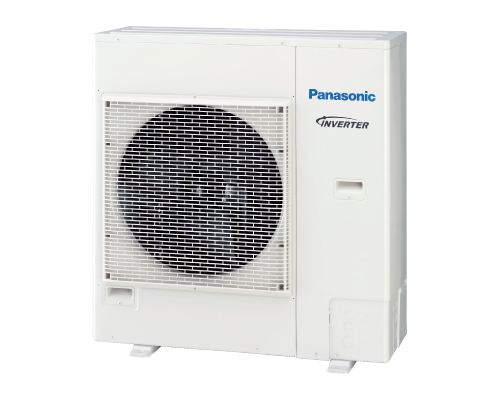 Versatile air flow control to cover a wide variety of demands. * Pre-setting is required for this function at System Test-run procedure. 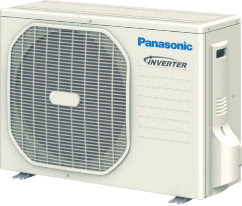 * When using the unit in a configuration other than the factory settings, it is necessary to make settings on site to increase airflow. 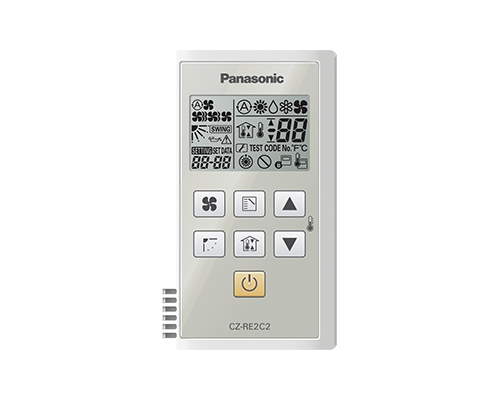 ** Use air-blocking materials (CZ-CFU2) to completely block two discharge outlets for 2-way airflow. 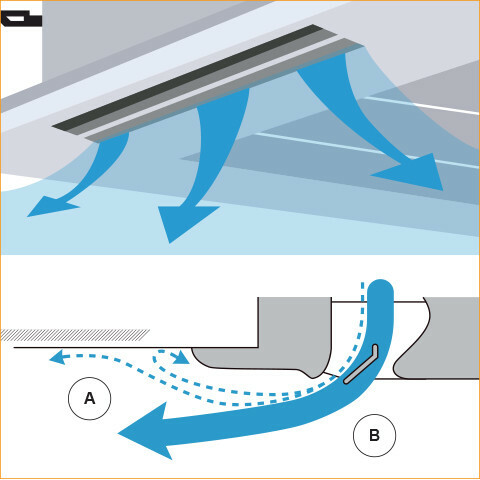 The flap can be removed easily for washing with water. A suction grill enables to make 90-degree turns. 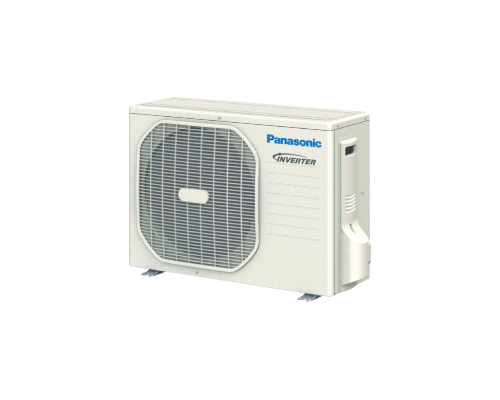 Lighter and Slimmer, Easier Installation A lightweight unit at 24 kg, the unit is also very slim with a height of only 256 mm, making installation possible even in narrow ceiling voids. The drain height can be increased by approximately 350 mm over the conventional value by using a high-lift drain pump, and long horizontal piping is possible. The square panel integrates seamlessly with the ceiling. Discharge outlets close when the unit is stopped. Wide direction air discharge by outlet design. 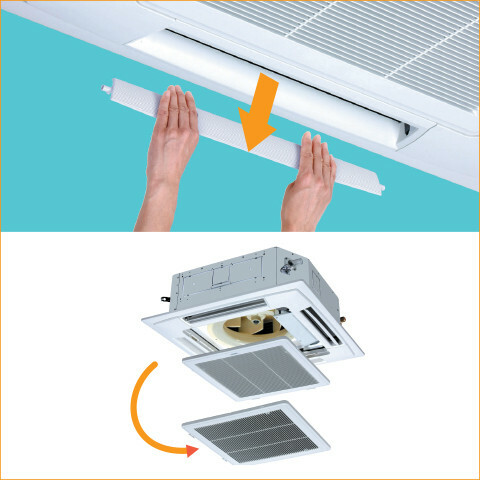 The Circle Flow Flap and re-designed air-outlet eliminate airflow along recessed parts of the ceiling which reduces contamination. If air flows only along these recessed parts, they will quickly become dirty. 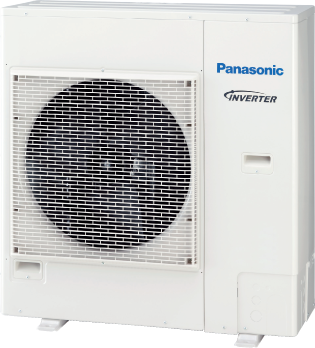 The new, improved air outlet design therefore greatly reduces dirt accumulation. The 4 Way 90x90 Cassette incorporates many new benefits thanks to advances in design and technology.